Unless I’m reading the rules wrong, but I don’t think I am. I’ve gone over the entry several times and just don’t see how it will work. Hopefully, it’s one of the first things to get FAQ’d. But it’s still really annoying to have to deal with this as GW assured us multiple times that every model (note: I’m using the word “model” here, not “army”) that was legal in 7th would be legal in 8th. That’s simply not true. 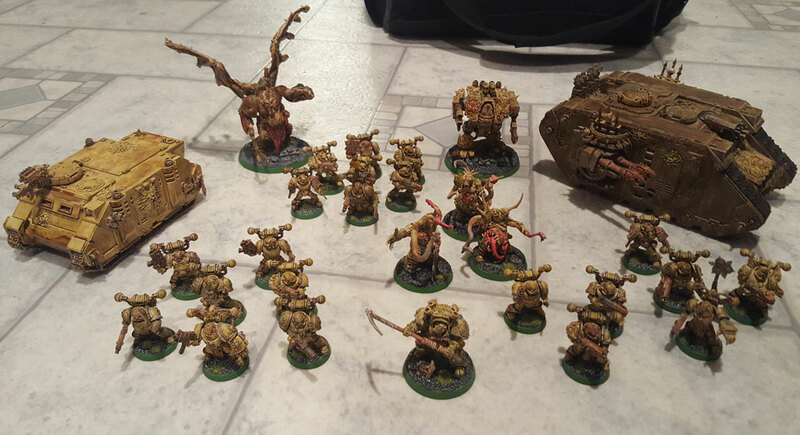 Another gripe I have about the Death Guard list is that Chaos Terminators are not listed as one of the army’s units. I mean, really?! 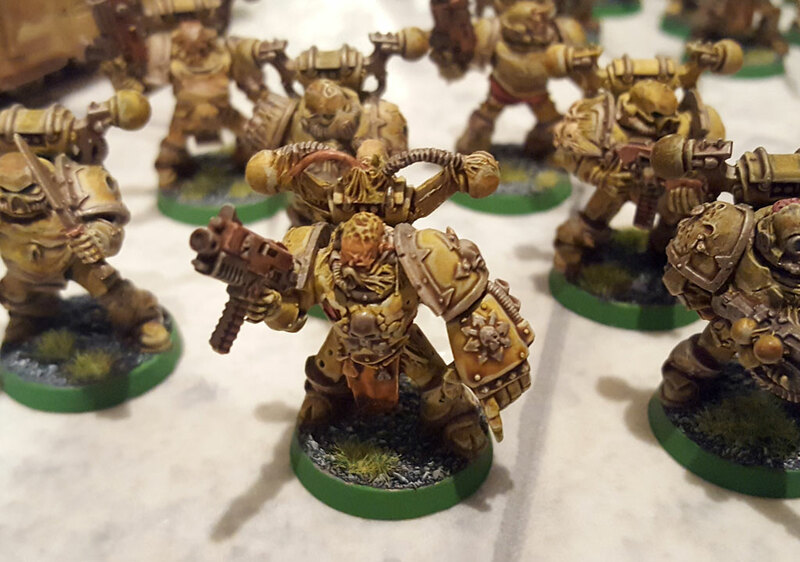 Nurgle-marked Terminators have been an iconic part of the Death Guard since forever. Of the four cult-specific Special Characters for CSM, the Death Guard character, Typhus, is the only one in Terminator armor. Heck, even some of the new models in the starter box are clearly in Terminator armor. How was that ball dropped? One of the major things I’m hopeful for in the new edition: the hard reset of every faction. I never thought GW would do it, but it was absolutely the right thing to do. I have no illusions that a game with so many disparate factions can achieve parity balance. It simply can’t. I don’t even think it should. But the hard reset will definitely give GW the opportunity to get as close as humanly possible to a balanced Warhammer 40K game. Since they’ve mentioned tweaking the rules as needed over the next few months, I hope they do seize the opportunity. I’ll leave it at that for now. I’m sure I’ll have more to say in the coming days as I drill down into the rules a bit more. We’re at the dawning of a new age.